Dorothy hanging off her davits on the stern. A view of the Ohio River near Aurora, Indiana. Wreckage of Pramela, salvaged from Craig's Creek after the tornado. Pramela was the perfect tender--light, stable, and fit exactly across Betty Jane's stern--but, a tornado touched down at Craig's Creek, Kentucky in 2014. Pramela was lying on the forward deck; her usual spot on the aft deck was taken up by repair. The wind picked her up, threw her overboard, capsized her, and sandwiched her between the river and the boathouse crashing down. She was crushed like an egg. Her little sister is Dorothy, so named for having survived the storm. Eastport Pram drawing used in building both Pramela and Dorothy. Page 1 of 2. Click through to Chesapeake Light Craft. Eastport Pram drawing used in building both Pramela and Dorothy. Page 2 of 2. Click through to Chesapeake Light Craft. Chesapeake Light Craft hosts a family build event where multiple boats are put together at the same time and under supervision. This image shows the glue & stitch technique using plastic wire ties for the “stitches”. Pramela and Dorothy had copper wire stitches. Click through for Chesapeake Light Craft/Eastport Pram. Dorothy being builtin the basement of my apartment house in Ohio. Instead of wood clamps, I used 4” PVC cut with a split on one side. Here, the bottom is finished and the reinforcements for the bow and transom are glued in. Betty Jane’s current dinghy, Dorothy, hanging on davits off the stern. Click through to Chesapeake Light Craft, Eastport Pram. Betty Jane’s current dinghy, Dorothy, hanging on davits off the stern. Bow view. Betty Jane’s current dinghy, Dorothy, hanging on davits off the stern. Interior view. This version not built to sail. Nevertheless, centerboard trunk built into center thwart. 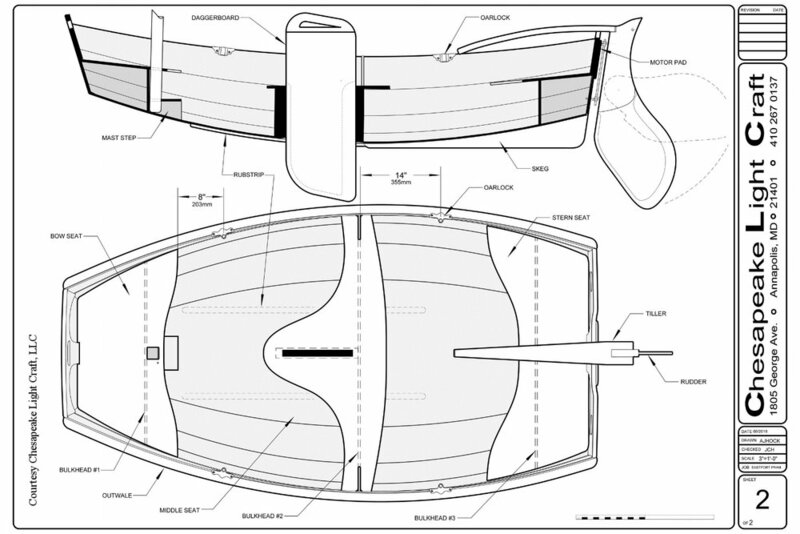 Flotation cells under the seats forward and aft. Without those, Pramela would have gone to the bottom. 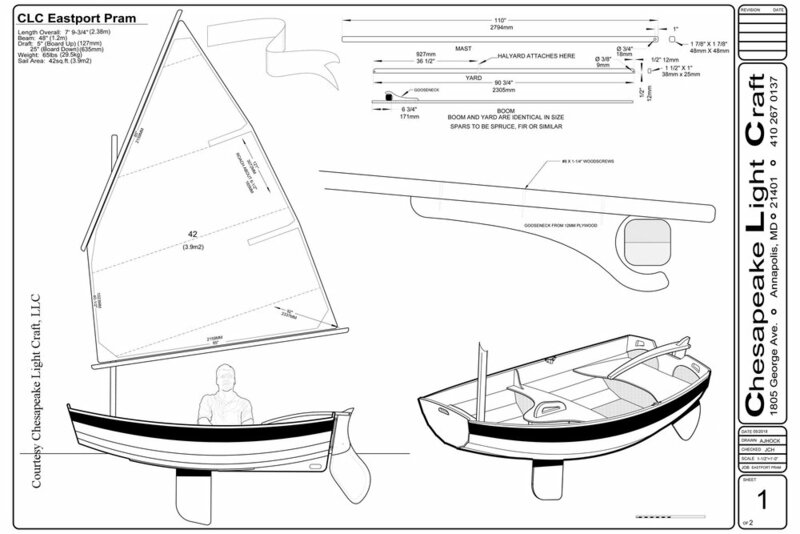 Forward seat has a square cut-out in order to future-rig with a mast and sail. Betty Jane’s current dinghy, Dorothy, hanging on davits off the stern. Launch view. Betty Jane’s current dinghy, Dorothy, hanging on davits off the stern. Sunset view of the transom.